SINOFUDE New Developed Automatic Weighing and Mixing system (Model CCL400/600/800/1200/2000S) offers automatic weighing, dissolving, and mixing of raw material with inline transport to one or more production units. It forms a basis of the continuous production. It is an automatic ingredient weighing system for the processing of confectionery and beverage industry. The sugar, Glucose and all other raw material are automatic weighing and mixing installation. 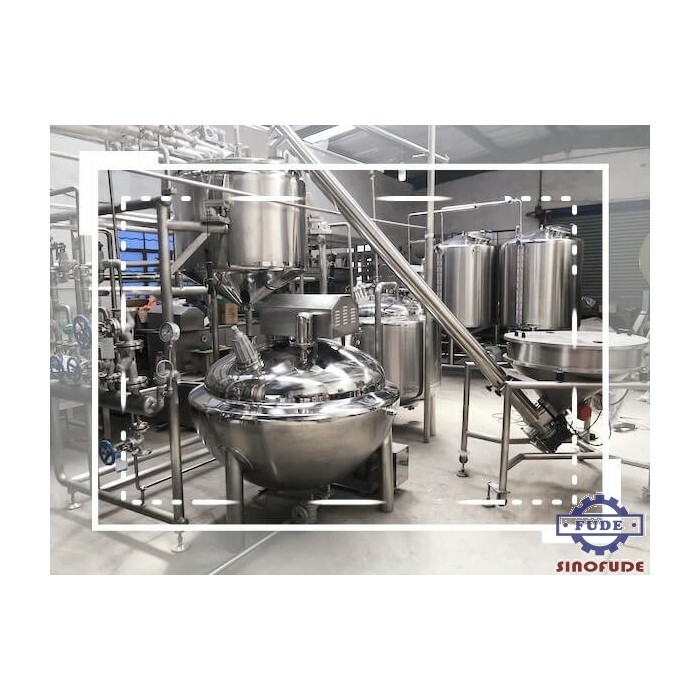 The ingredients tanks are connected through a PLC and HMI controlled system with the memory. The recipe is programmed, and the ingredients are weighed correctly to keep on going into the mixing vessel. Once the total ingredients are fed into the vessel, after the mixing, the mass then will be transferred into the processing equipment. Many recipes can be programmed into the memory as you like for easy operation.